Rich’s Cleaning Service is a small full service cleaning company in Business since 1998 serving Southeastern Connecticut. All operations are done by the owner and a few associates, mostly family. This assures you of quality and dedication to our work. 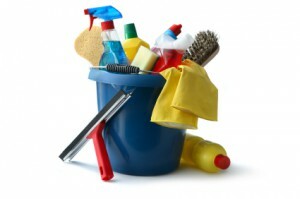 We provide cleaning services based on your needs and requirements whether daily, weekly or monthly. We will customize such a program for you. Anything from bathroom maintenance to trash removal, dusting, carpet cleaning or strip/waxing your floors to a mirror finish. A no cost quotation for whatever type of cleaning you need. Compare against your current cleaner – we will provide superior cleaning with competitive pricing. Insurance binder or references available. We welcome the opportunity to earn your business. Or e-mail us to get more information or your free, no obligation quote.